It may be the first week of January, but for the Elgin Community Club, they’re thinking about June. 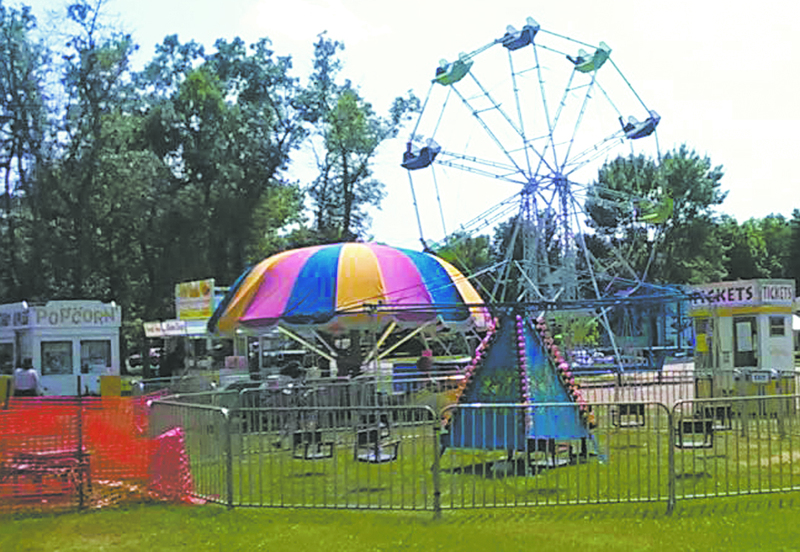 Last week, during a meeting of the club’s board of directors, two decisions were made regarding the annual Elgin Vetch Days Celebration. The club announced the dates for the annual event. In past years, Vetch Days has been during the week. This year, the celebration will return to a summer weekend. President Alan Reicks announced that the dates for the celebration will be Thursday-Friday-Saturday, June 29-July 1. The dates are selected based upon the availability of a carnival. Reicks announced during the meeting a contract has been signed with McWhorter Entertainment, based in Woonsocket, S.D., to provide a carnival for all three nights of the celebration. McWhorter Entertainment will be making their first trip to Elgin. In past years, Richard’s Amusements out of Fullerton had provided the concert. Reicks said Richard’s Amusements informed him that due to the availability of workers, they were unable to commit to coming to Elgin this year. McWhorter Entertainment provides carnival rides, etc., in South Dakota and Nebraska. In entering into a contract with McWhorter Entertainment, the community club had to guarantee $8,000 in ticket sales. Advance tickets will again be available in the weeks leading up to Vetch Days. The search for a carnival, Reicks said, was a long, drawn-out affair as the club received numerous rejection letters following inquiries. He added that Elgin is very fortunate this year to have found a carnival willing to come for Vetch Days. Activities associated with Vetch Days, like the annual parade, community barbecue, water fights, etc., have yet to be finalized. They will be announced in the coming weeks. One event which has been finalized is the tractor pull. This will mark the third year for the tractor pull and it will be held on Saturday, July 1. Location for the event is tentatively planned for the lot immediately east of Steepleview. While not yet finalized, one possibility is to have the parade on Sunday, July 2, preceded by a community potluck dinner in the park. However, that is only an idea being considered. The goal of the community club is to have multiple organizations become involved with the celebration. The theme for the celebration has yet to be decided. The date for the celebration will not conflict with the annual Bull-A-Rama sponsored every year by the Elgin Ko-ed Group.